Holland House, originally known as Cope Castle, was an early Jacobean country house built in 1605 by the diplomat Sir Walter Cope as the manor house of the manor of Kensington, and situated west of the village of Kensington, about 3 1/2 miles west of the City of Westminster and 5 miles south-west of the City of London, situated within a deer-park now known as Holland Park and now fully surrounded by the modern buildings of Central London. The house later passed by marriage to Henry Rich, 1st Baron Kensington, 1st Earl of Holland, later to the Fox family, created Baron Holland in 1763, under whose ownership it became a noted gathering-place for Whigs in the 19th century. The house was largely destroyed by German firebombing during the Blitz in 1940 and today only the east wing remains intact, with ruins of the ground floor of the south facade remaining, as well as various outbuildings, including a large orangery, and formal gardens. 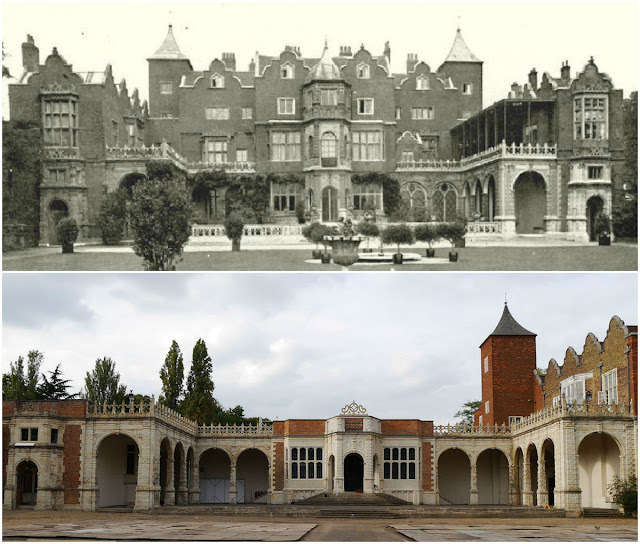 In 1949 the ruin was designated a grade I listed building. It is now owned by the Royal Borough of Kensington and Chelsea. 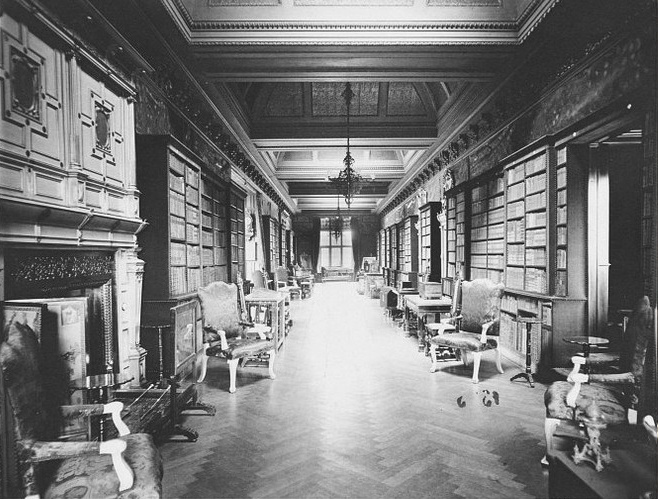 Library of Holland House in 1907. 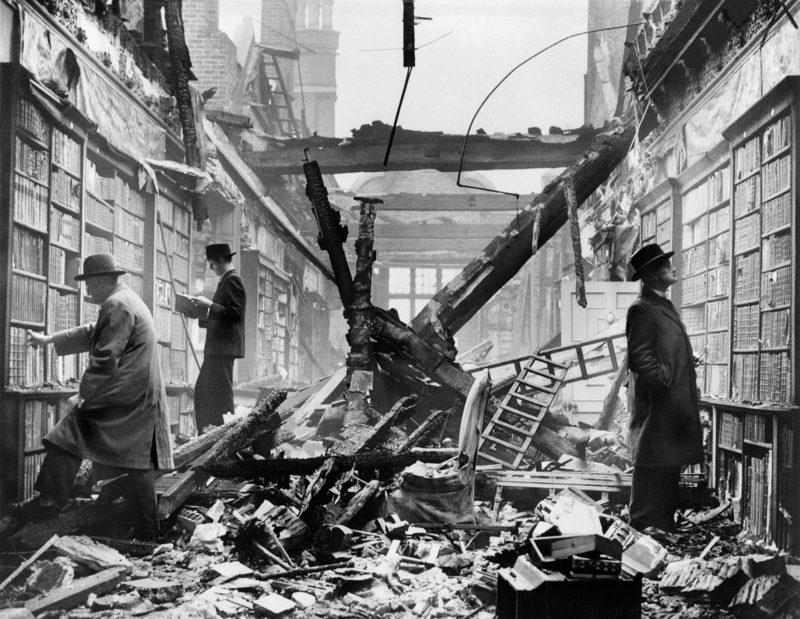 Library of Holland House in 1940 with bibliophiles after German WW II bomb damage. Holland House, Kensington, London. South front in 1896 and 2014, showing parts lost due to German World War II bombing in 1940.